So in case you missed out on all of the excitement, yesterday was the first day back at Milanello for most of our squad. 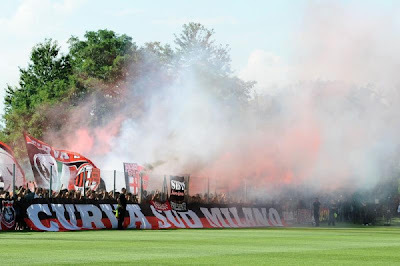 They lunched, the met the fans, there was a press conference with Galliani, Allegri, and Ambrosini, our newest arrivals were presented, the squad trained for the first time together, and then had dinner. All in a day's work. But it was actually not your typical first day back. Since May, the average age of the squad has dropped by 2 1/2 full years, and our wage bill has dropped around €20m. 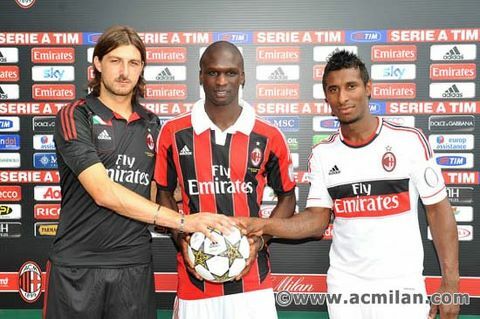 As Galliani pointed out, this is the most new players the team has seen in a very long time. Add to that the fact that we had our six Euro players still on vacation until the 24th, plus our two Brazilian Olympic squad players with their team, and a bunch of Primavera players called up to train, too. 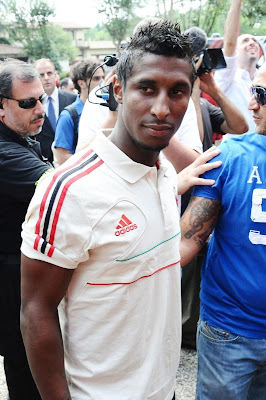 It was also a chance for fans, approximately 2000 of them, to see the new squad and possibly interact with them. There were a lot fewer fans than usual, a shame, because whatever questions I have about this year's squad, I still support them 100%. 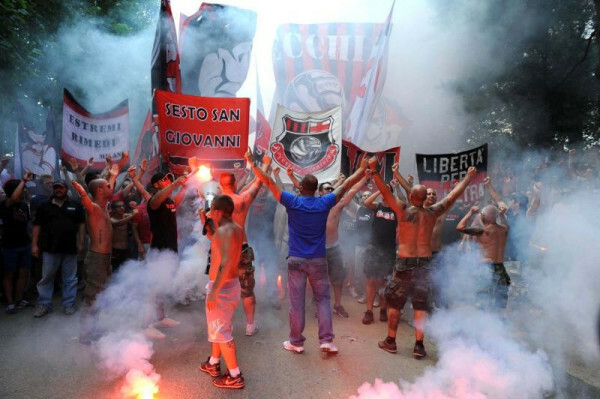 Hats off to the Curva Sud and all of the fans that showed up to help kick off the season. They sang songs against Leonardo, they sang for Galliani to bring us a champion. Boss. 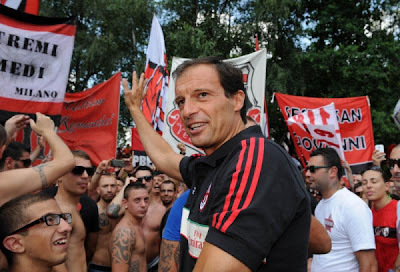 The players and even Allegri showed their gratitude to the fans by posing for pics and signing autographs. Unpopular with the fans? Doesn't look like that to me. 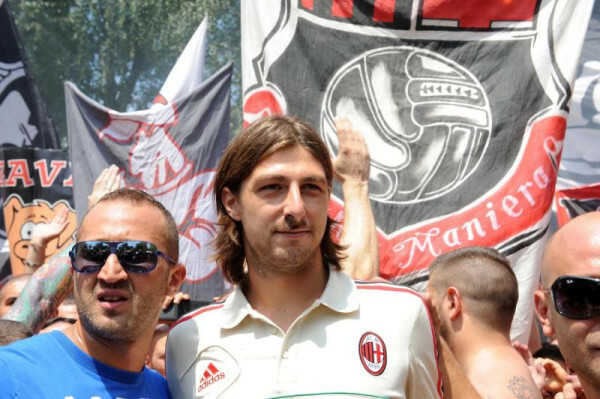 Don't know who is more excited here, Acerbi or the fan! Hey, that guy looks familiar! 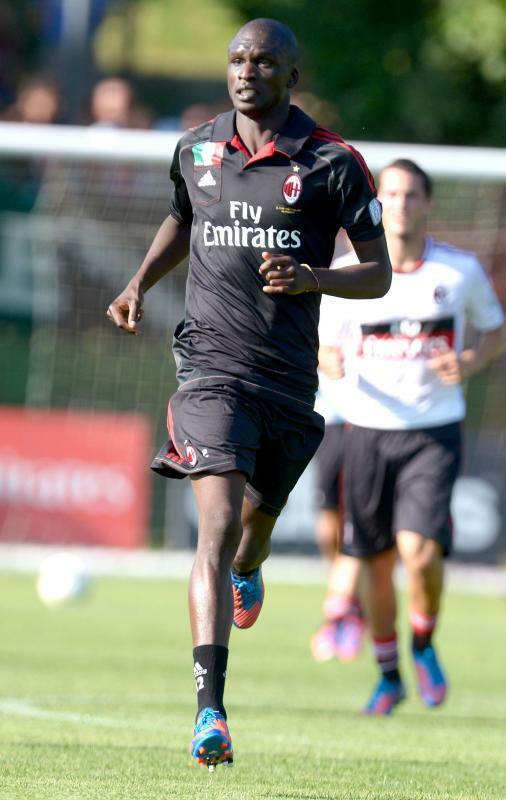 Oh, it's Flamini! 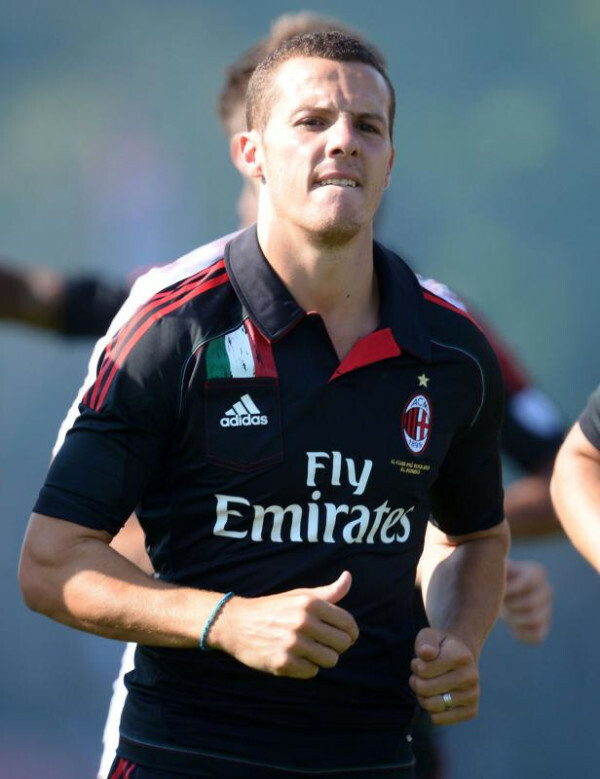 Didac Vilà... will he be the real deal? Age is just a number, kids. There are more pics and videos from yesterday's festivities than proud parents on a kids' first day at school. Feel free to share your favorites in the comments. If you have 10-15 min. per video, Maestro21Milan has put together a three part video called "First Day in Milanello," showing everything from player arrivals to the first training session. Check them out: Part 1, Part 2, and Part 3. There is also another video of the first training session by Nesta13Hilal. If our season is half as picture-perfect as the first day back was, then it's going to be a great season after all!